Google has rolled out a brand new feature for the Messages app for Android. 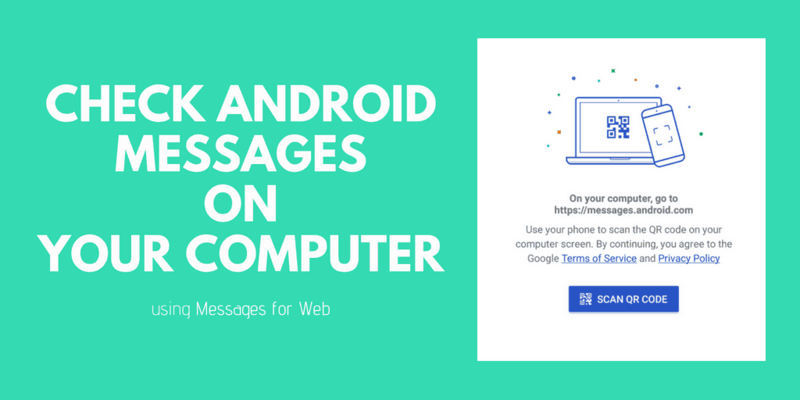 With the latest update, you can view & reply to SMS from your Android phone on your PC and Mac. The feature is called Messages for Web. It is only available in the Android Messages app made by Google. Most of the smartphones manufacturers supply their own app for text messaging. So, the Messages for Web feature will not be available to you unless you switch to the Google’s Android Messages app. It is a fully functional app and comes with features like – GIFs, smart reply, copy OTP from notification; etc. So, you can switch to it without worrying about a loss in functionality. Nokia Android smartphones come with Android One. So, all of them have this app pre-installed. 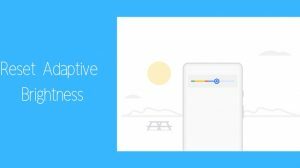 It is also pre-installed on Pixel phones, Xiaomi A1 and other smartphones which run Android One or the stock version of Android. The Messages for Web is offered over a web interface, similar to WhatsApp Web and Telegram Web. That means you do not need to download any app or program on your Windows PC or Apple Mac. All you need to do is to open the website and scan the QR code using the Messages app on your phone. 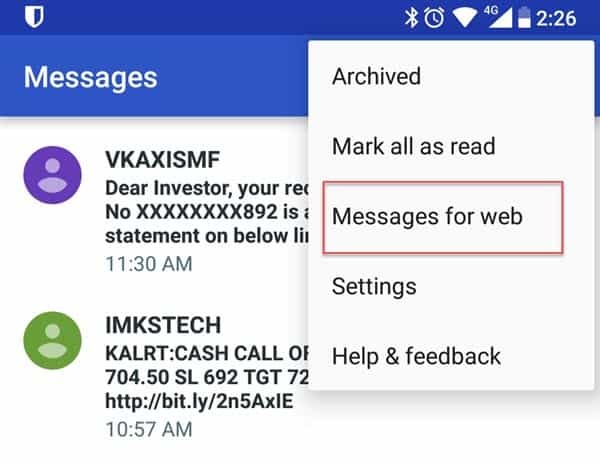 Make sure that you are running the latest version of Android Messages app. Also, ensure that you are connected to WiFi or a mobile data connection. 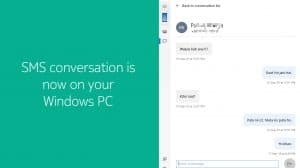 Open messages.android.com on your PC web browser (Chrome, Firefox, Edge, Safari or others). 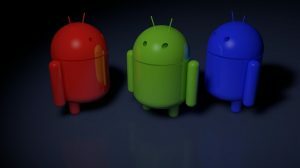 On your Android phone, open Messages app. Tap on Options and choose Messages for web. Point the phone’s camera to the QR code shown on your PC screen and wait for your messages to sync. 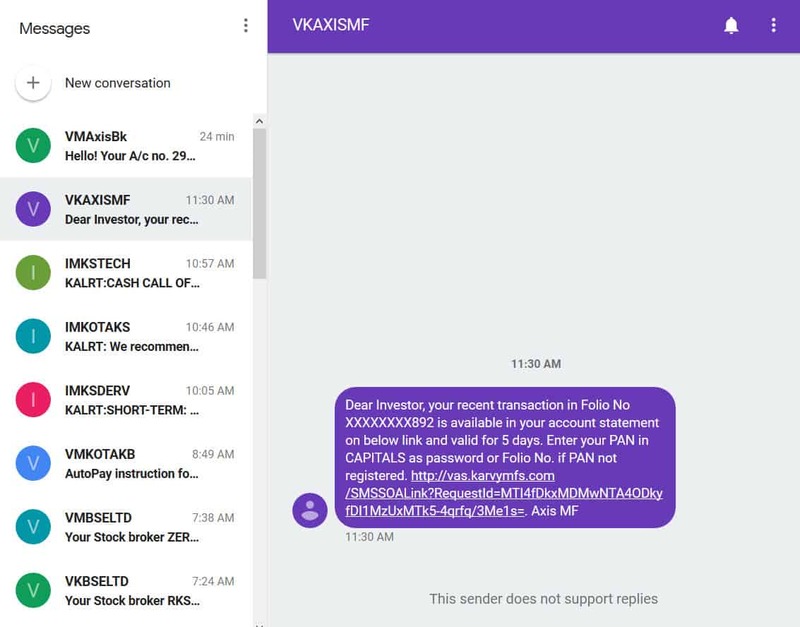 You can now check your Android messages on your PC. Now read on the bigger screen and reply faster with the physical keyboard of your PC. It is a great experience! The data gets shared with your PC over the internet. So, you need to have WiFi or Mobile data enabled for the app to sync messages to your PC. You also have the option to Remember this Computer which will stop Google from asking you to scan the QR code every time. 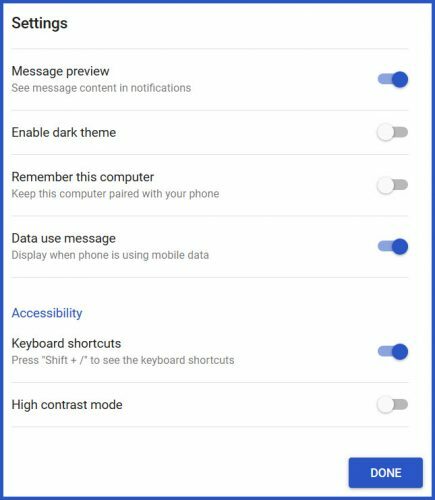 Messages for Web also supports dark mode and a high contrast mode which you can access from the settings. The web interface of Android Messages also supports keyboard shortcuts. These can be used to access certain functions quickly and in a snap. Here is the list of keyboard shortcuts supported by the service in its current version.